Monique Jacobs (Dillard) of Loves Park, IL (USA), was born in Winnipeg, Manitoba (Canada). Her love of quilting was encouraged by relatives in Canada who taught her the art of handwork and sewing. She parlayed her degree in mathematics into a genuine understanding of the need for an accurate 1/4” seam, squared blocks and precise cutting. 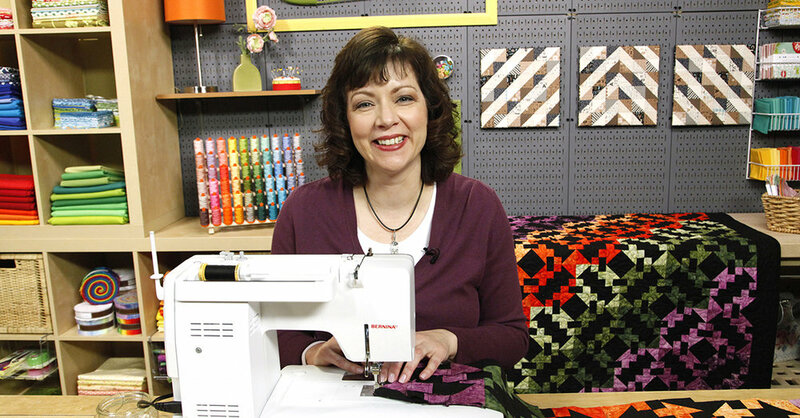 She was a regular teacher at her local quilt shop for 15 years until her budding quilt design business - Open Gate – steered her career toward a national audience. These days, you can find Monique teaching across the United States at quilt guilds and weekend retreats. Monique’s classes always fill up fast with fans from previous classes and students eager to learn from this talented designer. Monique has 150 (and counting) Open Gate patterns and 5 rulers (Fit to be Geese©, Mini Fit to be Geese©, and Fit to be Quarter©. Fit to be Quarter 2.5©, Fit to be Quarter 6.5 & Companion©) She has written 3 books with C&T Publishing, Fat Quarter Winners, Traditional Fat Quarter Quilts, and Diamond Traditions. All 3 books feature traditional, Americana inspired fat quarter quilts. She finds inspiration for her traditional designs everywhere and is inspired by fabrics, textiles and tapestries. Several trips to Europe have resulted in not only new beautiful quilt pattern designs, but also her fabric collections with Maywood Studio. Mark and Monique got married in 2016 in San Diego. Mark became involved with the business long before they were married. He plays an essential roll in promoting and continuing to grow the business. His research and social media support includes filming Thursday night Facebook Live events, posting on Facebook and Instagram and helping with all aspects of Open Gate Quilts. All of this while holding down a full time job elsewhere!